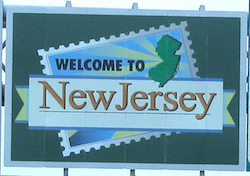 Advance expectations held true again late Friday when US District Judge Michael J. Shipp again ruled against the state of New Jersey in its ongoing bet to allow sportsbetting at select locations in the state. Judge Shipp issued his ruling hours before a temporary restraining order was set to expire. Shipp’s decision means that a permanent injunction is now in place against the planned New Jersey sports betting activity, which would have begun within days at New Jersey’s Monmouth Park Racetrack had Shipp not ruled against the state. New Jersey officials immediately filed notice to appeal Shipp’s decision. However, at least six to eight months are likely to elapse before any appeal is heard, meaning that even in the unlikely event of a favorable appellate court ruling, New Jersey sports betting would not be available until the summer of 2015 at the earliest. The deadline-beating ruling issued by Judge Shipp is the latest step in the ongoing three-year legal battle between the state of New Jersey and the five major American sports organizations which have, to date, successfully blocked the state’s attempts to find a a way for state-licensed casinos and pari-mutuel facilities to offer sports wagering. The National Football League (NFL), National Hockey League (NHL), Major League Baseball (MLB), National Basketball Association (NBA) and National Collegiate Athletic Association (NCAA) have jointly sued the state on multiple occasions since New Jersey legislators passed a law enacting legalized sports betting, as approved by voter referendum im 2011. The heated legal conflict has seen the state’s intent blocked by the 22-year-old PASPA (Professional and Amateur Sports Protection Act), which has had the effect of barring 46 of the 50 US states from approving and regulating betting on sports. That has set up a state-vs.-federal battle which has repeatedly seen federal judge Shipp side with the leagues, PASPA and federal interests. The virtual stacking of the deck in this battle remains intact, despite recent developments including an acknowledgment by NBA commissioner Adam Silver that legalized US sports betting was inevitable in the long term. Judge Shipp himself remains the primary adjudicator despite recent revelations that his younger brother, a former NFL running back, has continued to pursue possible employment opportunities within the league. Proponents of New Jersey sports betting efforts quickly vowed that the effort would continue. New Jersey State Senator Ray Lesniak, perhaps the most vocal legislative supporter of the state’s gambling interests, quickly offered comment while noting that the state is moving ever closer to finding the right was to implement its plans without violating PASPA. “We’re just following their lead,” Lesniak said, referring to a previous US Third Circuit appellate ruling in the matter, the wording of which became the basis of the most recent New Jersey law and the leagues’ lawsuit against the state. Added Lesniak, “We’ll certainly have a lot better chance before the Third Circuit than we had before Judge Shipp.” The last time the Third Circuit ruled in the PASPA battle, which is the same appellate court which will hear the new appeal next year, the leagues prevailed but only by a 2-1 vote, with a sharply dissenting opinion regarding the nature of PASPA’s overreach. New Jersey state attorneys filed a writ of certiorari after losing that previous appeal, but the US Supreme Court declined at that time to hear the case. A second attempt to appeal to the Supreme Court in the event of another Third Circuit setback remains one of the future possibilities in the legal conflict.